The Red-faced spider monkey, also known as the Guiana spider monkey, is found in the northern areas of South America in Brazil to Guyana, as well as French Guiana. 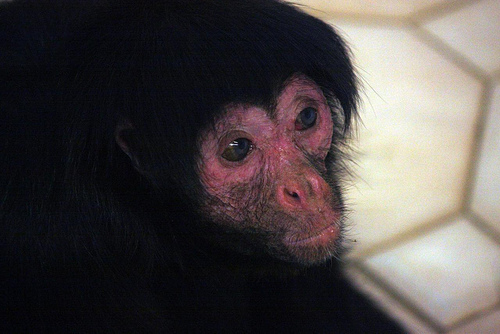 Its name comes from its striking appearance, as this black spider monkey has a glossy black coat, black face, and pink muzzle. They are highly acrobatic and have very flexible shoulder joints. They also have really long arms, and no thumbs. However, like other monkeys in South America, their tail is very strong and they can grip branches just like an extra hand. This makes them agile when moving through the rainforest canopy. 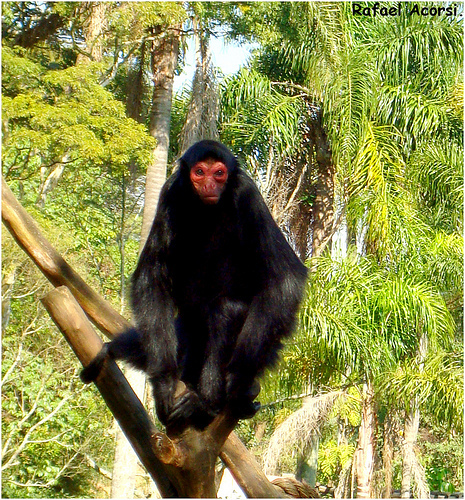 Red-faced spider monkeys typically live in areas of about 370 to 570 acres of land. 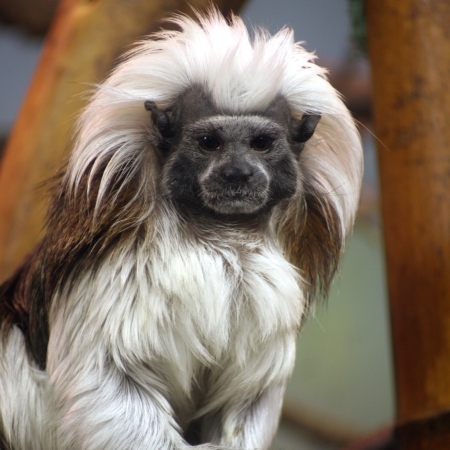 They live in groups of up to 20 monkeys, and split up into groups of between 2 to 5 when foraging for food. They are an omnivore as they eat many different types of food. Certainly, this animal will never go hungry in a good environment, as it will eat grubs, termites, leaves, fruit, berries, and flowers. In zoos, they are given cabbage, lettuce leavers, and oak leaves to munch on. I'm the king of the perch! At the end of the day, they will congregate with a greeting call. When they sleep, they sleep in large groups called bands. Bands consist of several females, their young, and a few male monkeys for protection. They are a social animal who are known to get along with other animal species. 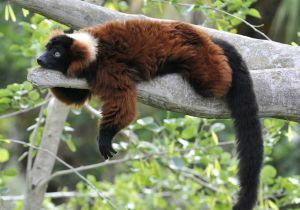 These species include the black-handed spider monkey and the cotton-top tamarins. They are protected only in the Amazon Forest by the Amazon Animal Protection Act of 1973. 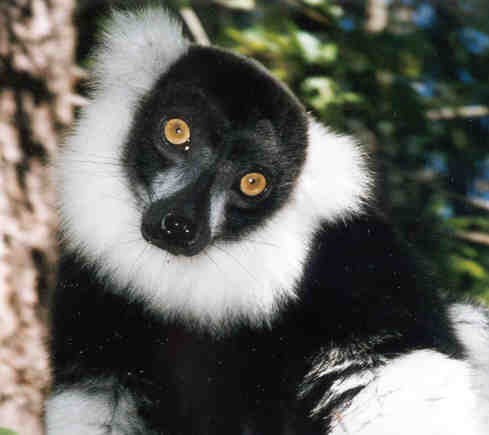 They are listed by the IUCN as vulnerable species.